You can create the perfect room that is a nod to the hippie generation. All it takes is a little bit of ingenuity and presto, a hippie room is yours! One thing to watch for is colors. The base colors of any hippie room are earth tones, deep greens and browns. On top of those you want splashes of color in vivid shades of red, orange and yellow. Avoid neon colors, however. Neon colors are a solid throwback to the 1980s, when neon was all the rage. Strip the room. The easiest way to get started is with a blank canvas. Empty the room as much as possible. Large furniture pieces such as a bed and dresser will probably need to remain. Go ahead and make the bed with the new bedding. Decorate the walls. Unless the walls are a gloss white or pastel, you can probably just cover them with posters of peace signs and assorted flower power prints. These are easily found at allwallcom for nominal prices. You don't want them framed. Hang your curtains. A popular trend in the 1960s was beaded curtains in place of [window curtains](https://society6com/curtains?utm_source=SFGHG&utm_medium=referral&utm_campaign=4844) and even doors. While you will probably want to keep your main door, you can add beaded curtains to your closet and windows. Decorate the floor. If you can re-carpet your room in vintage shag carpeting, great. More likely you will need to use a couple [throw rugs](https://society6com/rugs?utm_source=SFGHG&utm_medium=referral&utm_campaign=1718) to get the effect. Move your bed into place and then scatter the shag carpeting in the area where you and your friends are likely to hang out. Add the bean bag chairs. These should be tossed comfortably around the shag rugs. This is also a good place to scatter any floor pillows you have. An area like this is great for a place to hang out and talk with your friends. Add the accessories. The incense holders and lava lamps work both to make the room smell good and to give the perfect ambiance. The burning incense will infuse the fabrics in the room with their scent and the lava lamp will add a soft glow as well as reflect off of the beaded curtains. 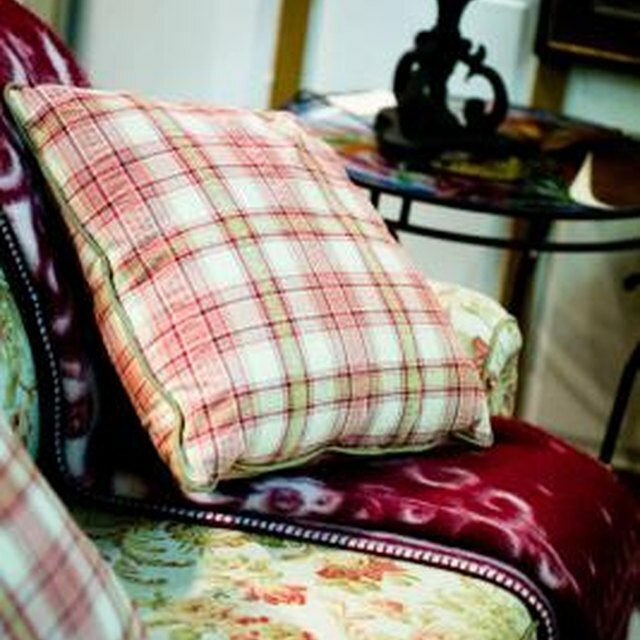 The throw pillows should be mismatched, vivid in colors and durable. They are likely going to get a lot of use and they will add the perfect touch to your hippie themed room.